From red dirt high atop Howell Mountain, this Cabernet Sauvignon is a consistent marvel. Bellissimo. 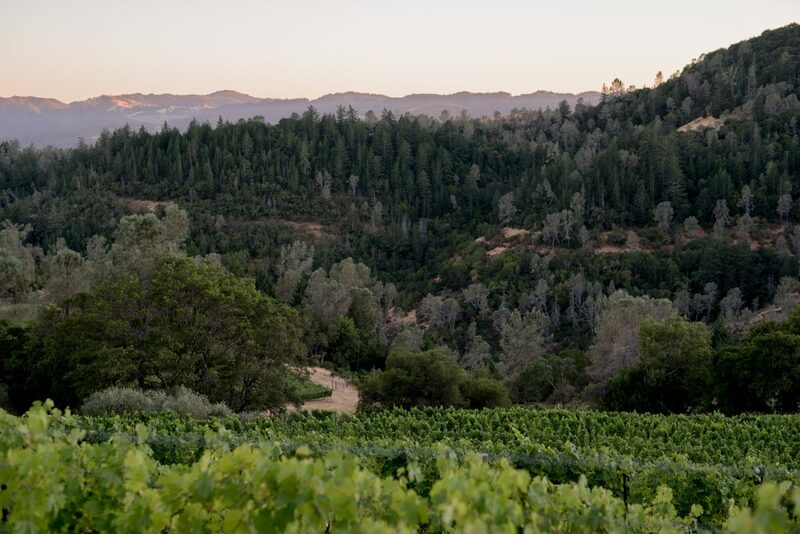 Genoese native Dino Dina christened his Howell Mountain vineyard Cimarossa (pronounced Chimarossa), Italian for “red hilltop.” A very special site indeed, where grapes and olive trees grow side by side in soil composed primarily of red volcanic rock and dust. Not much can be cultivated on these steep slopes, rising from 1,800 to 2,300 feet in elevation. The grape clusters are small, the berries are tiny and the flavors are huge. The Cimarossa Cabernet Sauvignon is generally a fast, smooth fermentation. We know this fruit well and like to get it fermenting as quickly as possible after harvest, with less total time in tank than we use for the rest of our Cabernets. We do this to keep from extracting too much of the big, Howell Mountain tannins. The resulting wine is nicely extracted, while the shorter fermentation allows the sweet fruit to stay at the forefront. We tend to like to age the wine in almost all-new, medium toast Darnajou barrels. 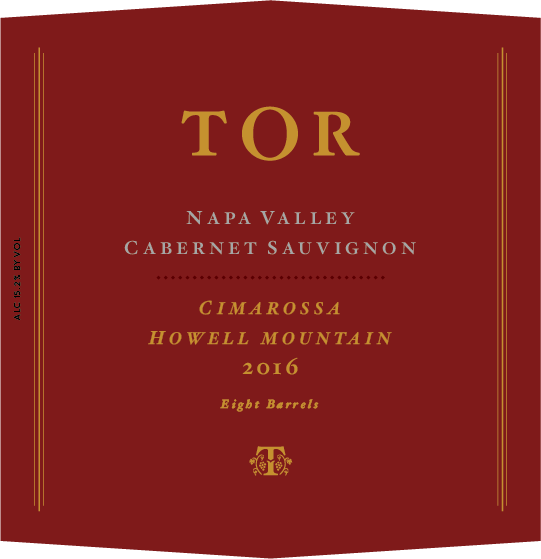 The 2016 Cimarossa Cabernet continues the lineage we been developing for 15 years. This is a true Howell Mountain Cabernet. It is not to drink immediately, it demands and deserves your full attention. This is a wine of structure, immense depth and richness that will age and improve for years. It is all about black fruits, smoke, slow-cooked meats and mouth-filling richness. This is a wine to savor with the best of friends over a decadent meal.